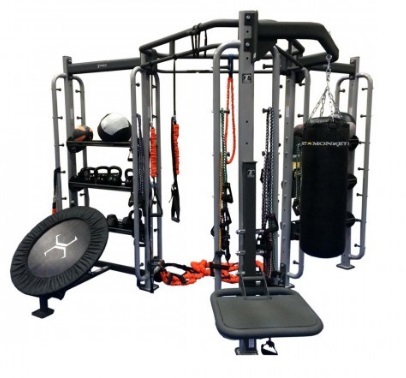 Functional Fitness - Sport and Fitness Inc.
Functional Training – Build a complete Functional training area in any fitness facility with equipment from top manufacturers at every price point. Contact our Functional Design Specialists today for pricing or a complimentary catologue. We can also assist you with Functional Fitness Design. Year after year, functional training and Crossfit remains one of the top trends in the fitness industry. Functional Training consists of body weight exercises, olympic lifting, plyometrics, and high intensity movements. 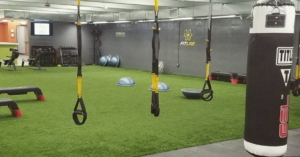 Our experts can help you select the right amount of functional training space and equipment for your facility. 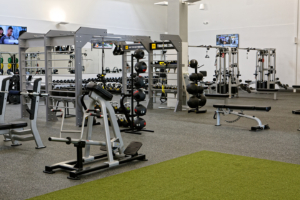 We can design small areas for just a few people or large functional training areas that offer paid small group personal training. 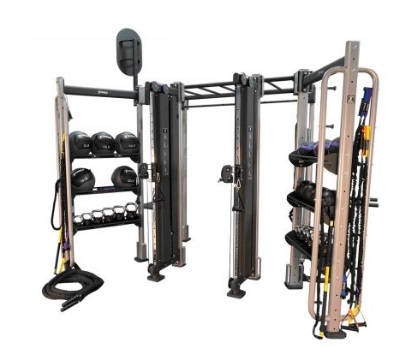 We offer rigs, racks, bands, balls, and high intensity interval equipment. 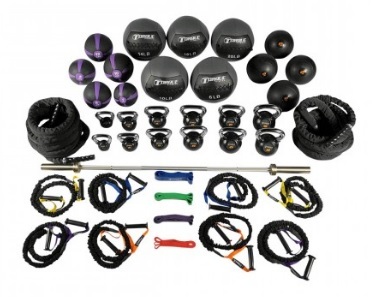 The brands we carry include TRX, Torque, SPRI, AKTIV, and Power Systems. 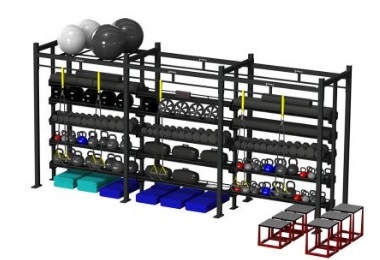 Storage and Suspension Training systems begin with a single Bay and end where and when you need them to. 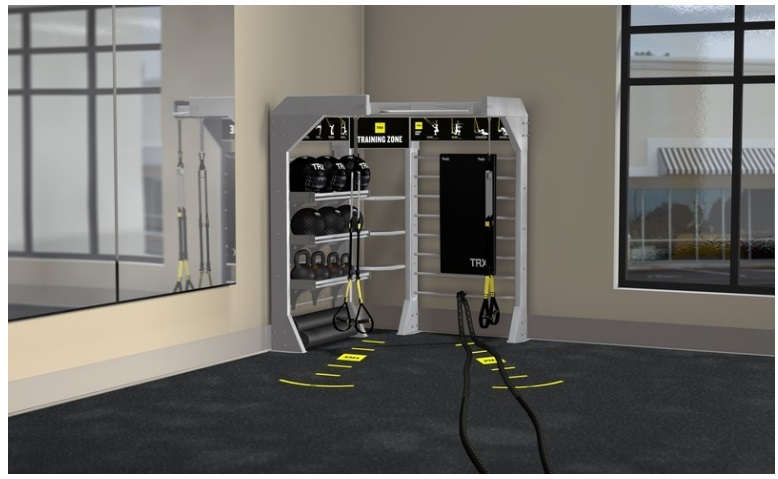 Use Bays to support group studios, dynamic training areas, flexibility zones, or anywhere you need a little extra organization or functional training support. 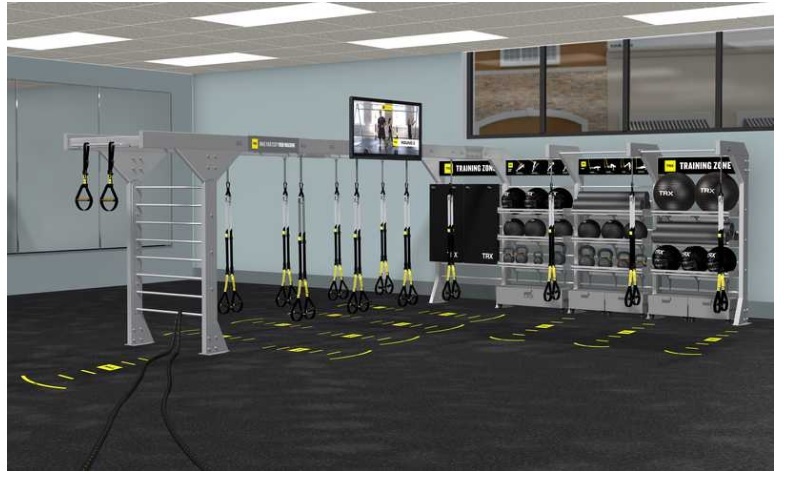 TRX Bays include optional mounted TV and/or self-guided exercise branding options for: mobility, functional training, upper body, lower body, and core. 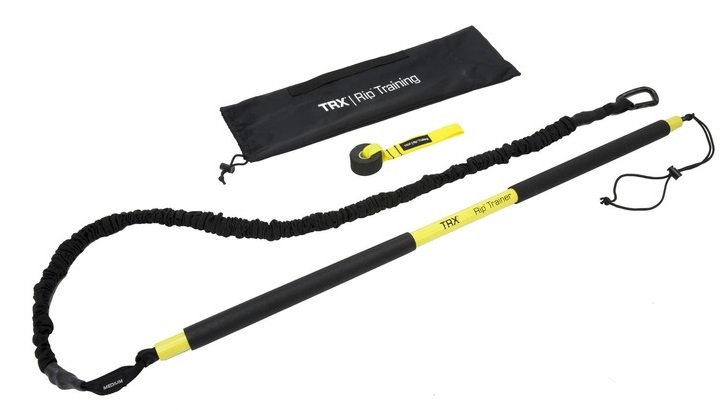 Optimize every square inch of your facility with the TRX T-Unit. 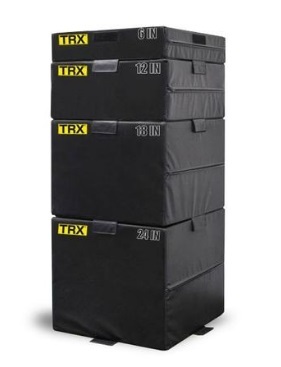 Perfect for group studios, dynamic training areas, flexibility zones, or anywhere you need a little extra organization or functional training support. 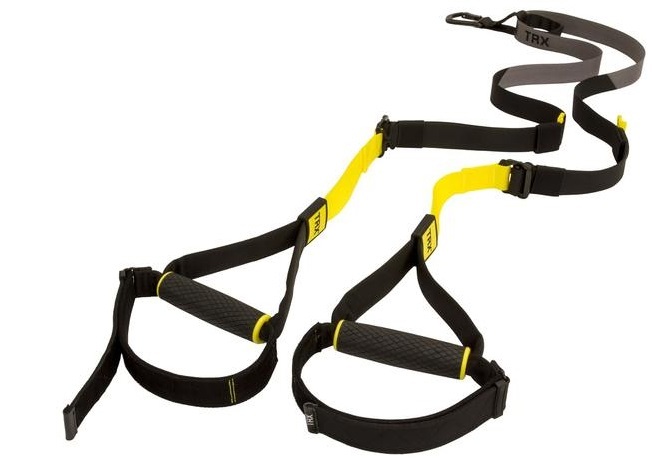 TRX T-Units include optional mounted TV and/or self-guided exercise branding options for: mobility, functional training, upper body, lower body, and core. 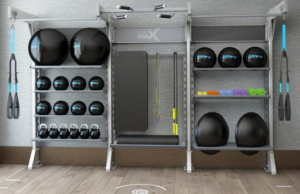 As pioneers in the creation of functional training systems for small group training, we’ve taken years of experience and put it into packaging systems that fit any space and any type of training. Classroom systems are geared for training multiple individuals at the same time all doing the same movement. Edge systems fit in to corner spaces. Monkey systems fit along the wall, and Spider systems allow 360 degree axis and are center space units. 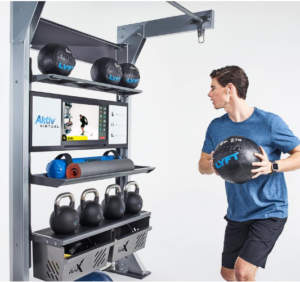 Aktiv Virtual® combines expert level coaching, personalization, and motivation for today’s most popular workouts. Connect with leading wearables including Apple WATCH®, Polar®, Garmin® and Fitbit® and more. View and hear personal biometrics and experience real-time insights and guided coaching tailored for safe effective training intensity every time. 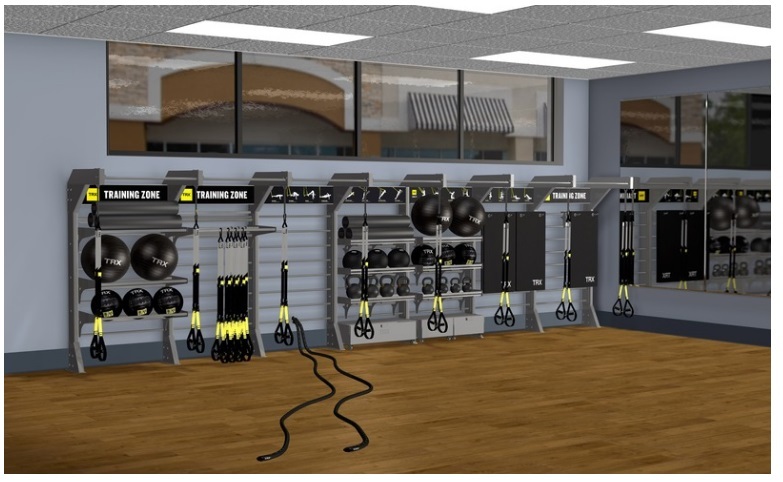 Activate group studios, dynamic training areas, flexibility zones, or anywhere you need a little extra organization and functional training support with TRX Bridge Solutions. 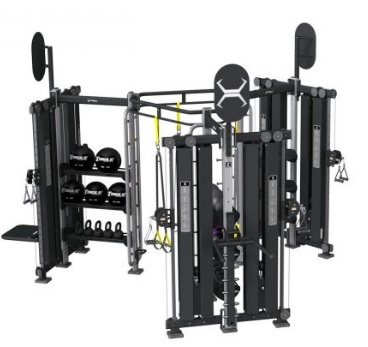 This highly customizable Suspension Training anchoring and storage system maximizes space efficiency and exercise functionality, while emphasizing design and function to suit the needs of each unique member, space and activity. 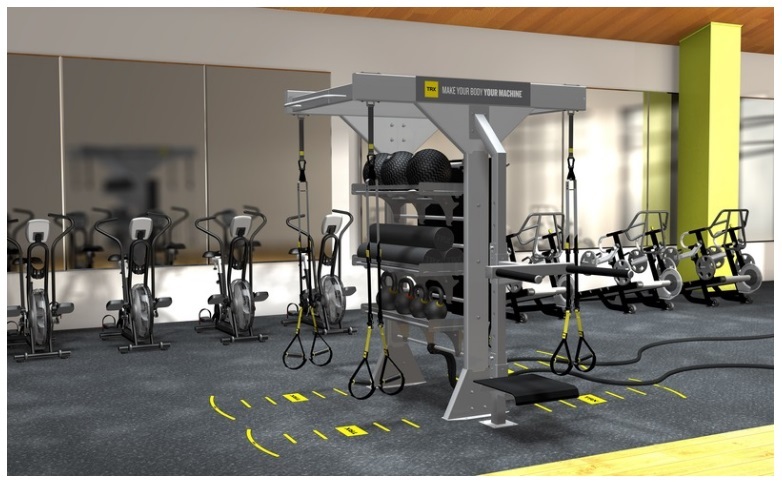 TRX Corner Units include optional mounted TV and/or self-guided exercise branding options for: mobility, functional training, upper body, lower body, and core. 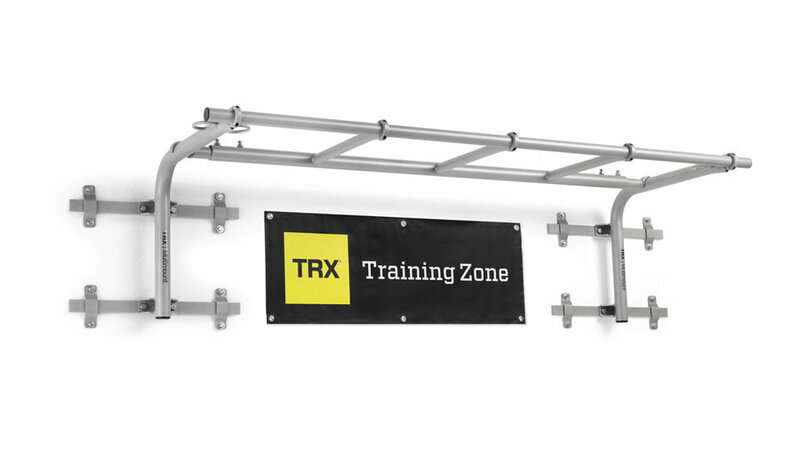 The TRX MultiMount is a sturdy, industrial-grade steel, wall mounted pull-up bar. 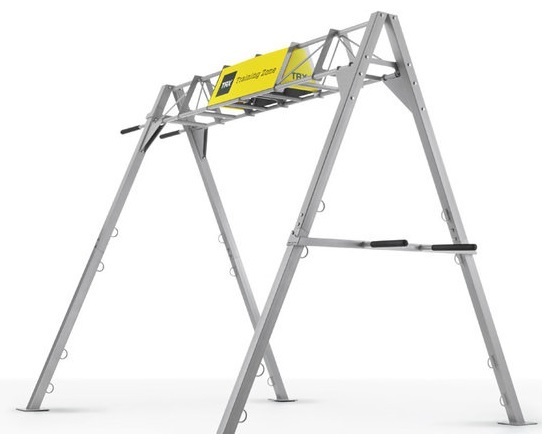 It enables you to expand small group training volume, maximize space savings, provide more room for pull-ups and muscle-ups.Available in 7′, 14′ and 21′ sections. www.sportandfitnessinc.com is your expert for recycled rubber flooring. Let us handle the design and installation of your fitness floor projects. We offer many different colors and thickness and can glue or seam tape. www.sportandfitnessinc.com is your resource for artificial turf and athletic grass. Let us handle the design and installation of your indoor or outdoor project. We offer and abundance of quality turf with your choice of colors, custom logos, and lines. The essential tool for anyone looking to strengthen their core and increase their cardiovascular endurance. 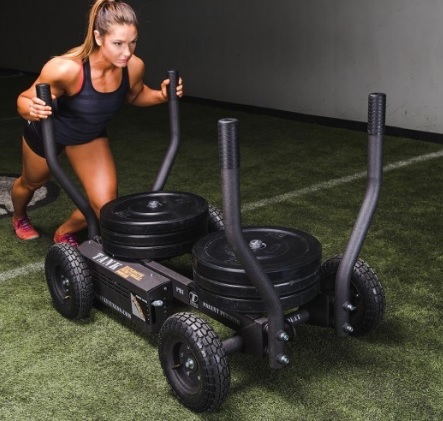 The Rip Trainer employs an innovative resistance cord system to create a variable, unbalanced load that enables you to develop core strength, explosive rotational power, flexibility and endurance. Perfect for golf, baseball, hockey and lacrosse.